At the True & Dorin hair loss clinic in New York, hair transplants are considered permanent solutions to thinning hair. That said, it is important to understand the facts about hair transplantation before undergoing the procedure and set your expectations accordingly. During your initial consultation with Dr. Robert H. True or Dr. Robert J. Dorin, all of your questions will be answered and all of your concerns will be addressed, honestly, openly, and with the integrity for which our doctors have become well known. One of the most common questions we field at True & Dorin is “What will my hair look like in ten years?” This is a valid question, the answer to which involves a basic understanding of the principles of hair transplantation. Perhaps no field of medicine has changed as rapidly or as dramatically as the field of hair restoration. Ten years ago, many of the techniques and technologies now favored by reputable hair transplant surgeons were either in their infancy or yet to be invented. 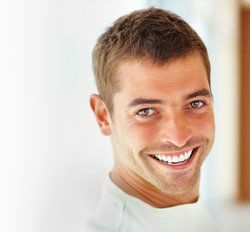 Nevertheless, there are many people who underwent hair transplantation in 2003 whose results remain impressive in 2013. One such patient turned to Dr. True for hair restoration in 2002. At that point, Dr. True recommended a Propecia® regimen. In 2003, this medical therapy was augmented by the transplantation of 1,200 grafts to establish a permanent hairline and fullness at the edge of forelock. Ten years later, the patient’s hair has retained much of its density and still looks completely natural. Further work can be done at the crown at the patient’s discretion. There are not many clinical studies that demonstrate the efficacy of hair transplants over a ten-year period, however. The phrase “follicular unit transplantation,” for example, didn’t even become part of the medical lexicon until 1995. Reliable data regarding these more recent breakthroughs in hair restoration surgery date back roughly five to seven years, and statistics regarding hair transplantation techniques of the past only reinforce the superiority of modern hair transplants. The science behind modern hair transplantation does allow Drs. True and Dorin to predict the likely result of hair transplantation, even ten years after the procedure has been performed. When hairs are transplanted from the sides and back of the head to the hairline and crown regions, those hairs maintain their genetic “programming.” In general, these hairs are programmed to be permanent; that is, although they are susceptible to “shedding” during the natural growth cycle of hairs, they will regenerate. Absent disease, injury, or any other condition that would compromise the health of these hairs, they should remain a permanent part of the patient’s scalp for ten years and beyond. Of course, when this hair is used to build density in areas of thinning, there is no guarantee that the non-transplanted hairs in these areas will remain in ten years. Medical therapy may help to preserve some of these hairs, but thinning may also continue. In such cases, further hair transplantation may be possible to restore density. For further information about hair transplantation or to schedule your initial consultation with Dr. True or Dr. Dorin, please contact our hair loss clinic today.